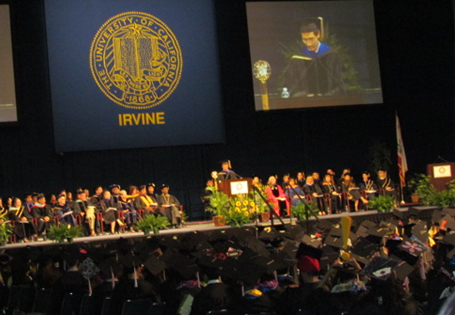 Founded in 1965, the University of California, Irvine combines the strengths of a major research university with the bounty of an incomparable Southern California location. UCI's unyielding commitment to rigorous academics, cutting-edge research, and leadership and character development makes the campus a driving force for innovation and discovery that serves our local, national and global communities in many ways. With nearly 28,000 students, 1,100 faculty members and 9,000 staff, UCI is among the most dynamic campuses in the University of California system. Increasingly a first-choice campus for students, UCI ranks among the top U.S. universities in the number of undergraduate applications and continues to admit freshmen with highly competitive academic profiles. Orange County's largest employer, UCI generates an annual economic impact on the county of $4.2 billion. UC Irvine Summer Sessions provides an opportunity to each visiting students to come to UC Irvine to take college-level courses and receive UC Irvine course credits each summer. Schools offer more than one hundred course for students to choose in three different sessions. Courses include the subject of literature, law, business and science, Students can choose any courses according to their interests. School has many international registration centers in different countries. The main purpose of the registration center is to provide better services to local students and institutions who are interested in studying at UC Irvine in summer. We, Sesame, are one of the official registration centers for UC Irvine Summer Sessions in the world. Under our long term cooperation, a great number of students are sent to UC Irvine for study and cultural communication through Sesame every summer. We assist students to apply school, visa and provide services in the United States.